When life gives you lemons, what recipes do you make? Lemon chicken with tomatoes and potatoes--- low cal but great flavor! 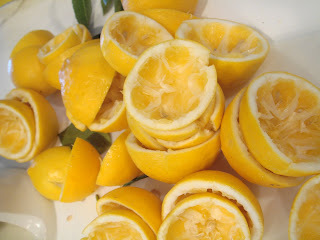 lemon bars, lemonade, and i know there must be more, since they go quickly when we have fresh lemons! Mmm, those sound great. I'll add one that I want to try: limoncello! ok, friends from the Facebook added Lemon poppyseed cake and lemon bars!